The weather is cooler, the holidays are upon us, and now there’s the added holiday stress to deal with – more parties, less practice! There’s the potential for more sugar, dairy, gluten & alcohol to affect and depress your immune system, state of mind, and increase your waistline! It’s time to get Hot for the Holidays – to literally heat up your body with a daily sweat! For centuries sweating has been used to cleanse and detoxify for both healing & spiritual purification – in traditional sweat lodges, saunas and steam rooms. When you sweat, your body starts a cleansing process at the surface of your skin through your pores. In yoga, we practice lotion and fragrance free to allow impurities and toxins to exit the body through those open pores. At Infinite, the studios are kept between 80-82 degrees, allowing your body to start out warm, but not overheated. As you practice and begin to sweat you start to detoxify through the surface of your skin. You become hotter as you create internal heat by focusing on ujayi breath and applying bandhas. Circulation is increased with breath & bandhas, bending forward, backward, twisting and inverting your body. Improved circulation accelerates your metabolism (burning up holiday calories! ), while assimilation and digestion of food is more efficient. As you continue to sweat you generate more white blood cells which can help strengthen your immune system (preventing winter colds). Finishing postures and savasana calms your body allowing it to return to a normal resting temperature. Completing your practice, you’ll feel cleansed and refreshed on the surface of your skin, while internally you continue to reap the benefits of a healthy sweat! So get Hot for the Holidays! Heat up with Bonnie Jones this Tues Dec 2 with her dynamic Soul Vinyasa 5:30-6:45pm. Hot New Teacher! 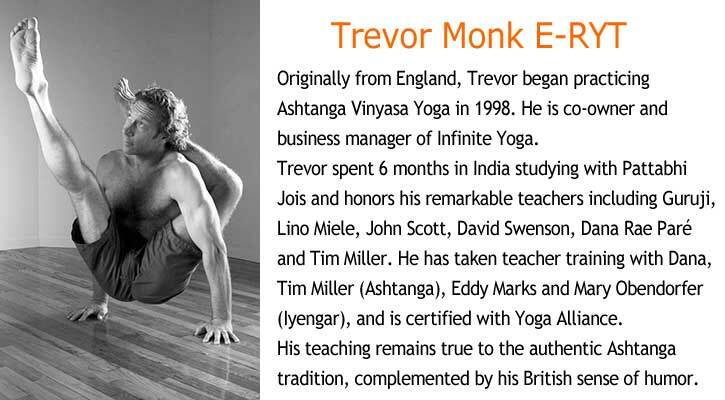 Heat up with Trevor on the Winter Solstice with 108 Sun Salutes Dec 21 4:00-6:00pm. Charity event! Heat up with daily yoga with IY’s Unlimited Monthly Membership. Only $120 a month! Heat up daily at home with Infinite Yoga’s Home Practice Cards. Only $18 (great gift idea)! A warm drink increases body temperature which (as mentioned above) can increase your metabolic rate and aid in weight loss. 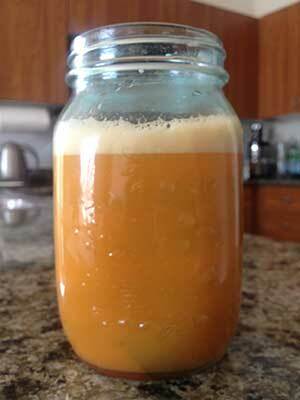 In my Hot & Spicy Tonic we have ginger (once again) and cayenne, both which also aid in cleansing and detoxifying. Cayenne also has anti-irritant properties with the ability to ease stomach aches and sore throats (from too many late night holiday parties!). I have to admit this one might be an acquired taste, but I’ve been using variations of this tonic for years to keep colds away and protect my voice. 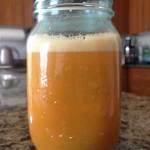 Here’s my Hot & Spicy Tonic recipe – Juice, Drink and Glow! Juice all of above then add one cup of hot water and stir.